PUMA’s Fast Track programme launched the Primary Pack Part Two. This nostalgic reissue of vintage-running silhouettes showcases the XS850 and the Blaze of Glory, re-imagined in the basic building blocks of the colour spectrum. The ‘90s saw both the XS850 and the Blaze of Glory shoot to fame due to their distinctive use of PUMA’S revolutionary Trinomic technology, featuring honeycomb cells for cushioning and support. The running shoes rapidly spread from the track to the streets, changing both the athletic and street footwear scenes. 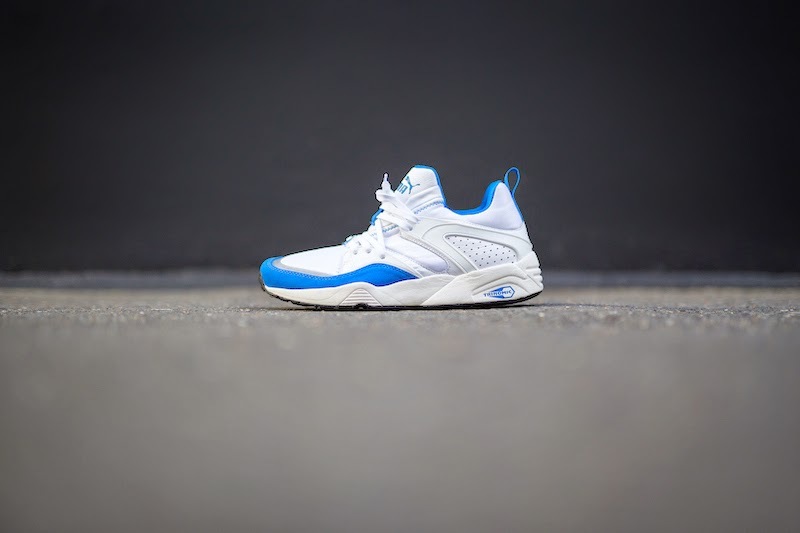 The collection’s design references PUMA’s storied athletic background through the use of clean midsoles to amplify its coloured Trinomic logo. Classic colours are revived with bold colour blocking on the front and back; PUMA’s number one red colouring and saturated blue producing a fresh interpretation of the Blaze of Glory and XS850. The contemporary construction of the classic Blaze of Glory mid-top utilises neoprene, while the XS850 low-top is comprised of a textured mesh. Both are finished with suede overlays for a rich touch and feel. The Blaze of Glory will retail for R1299 and the XS850 for R1499. The sneakers can be found at PUMA SELECT stores in Cape Town, Bree Street and Braamfontein, Johannesburg, as well as Shelflife from the end of April.